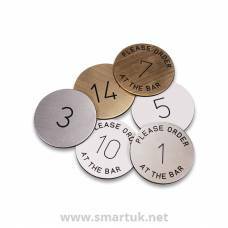 Please enter the number(s) you require? 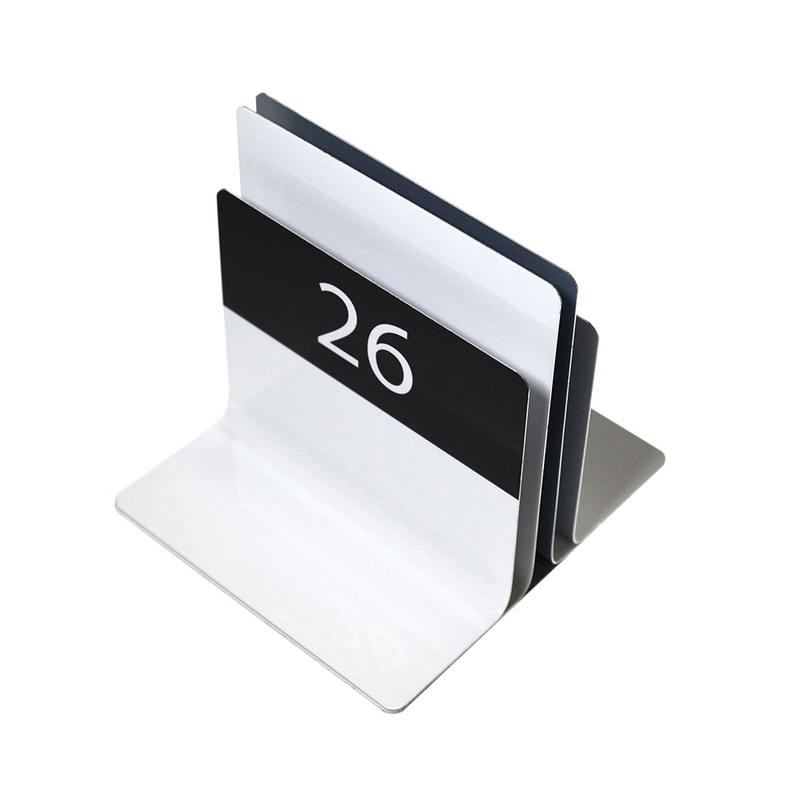 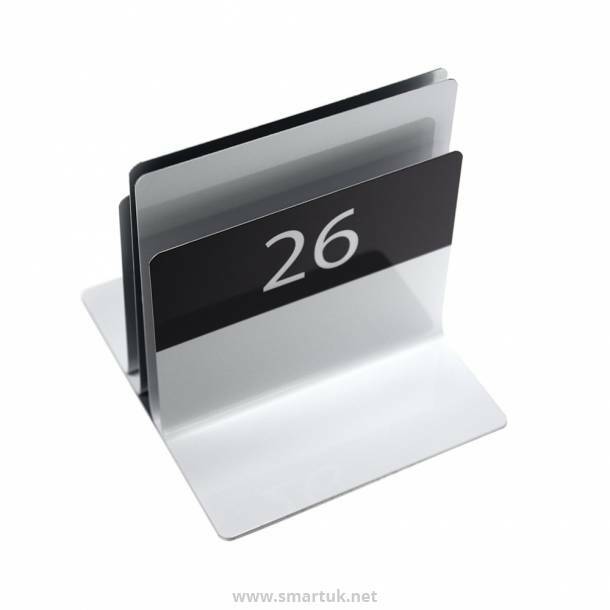 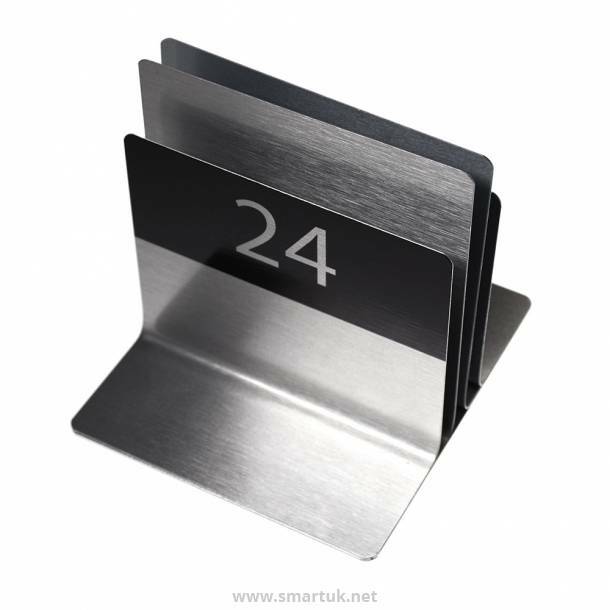 Metal Menu Holders that are numbered and available in brushed colours for a smart way to display your menu material. 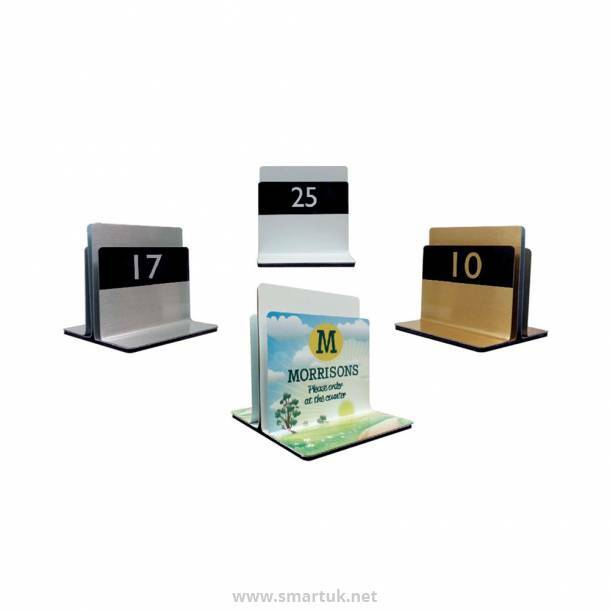 A menu holder that is made from a lightweight, high quality aluminium, available in gloss white, brushed gold and brushed silver. 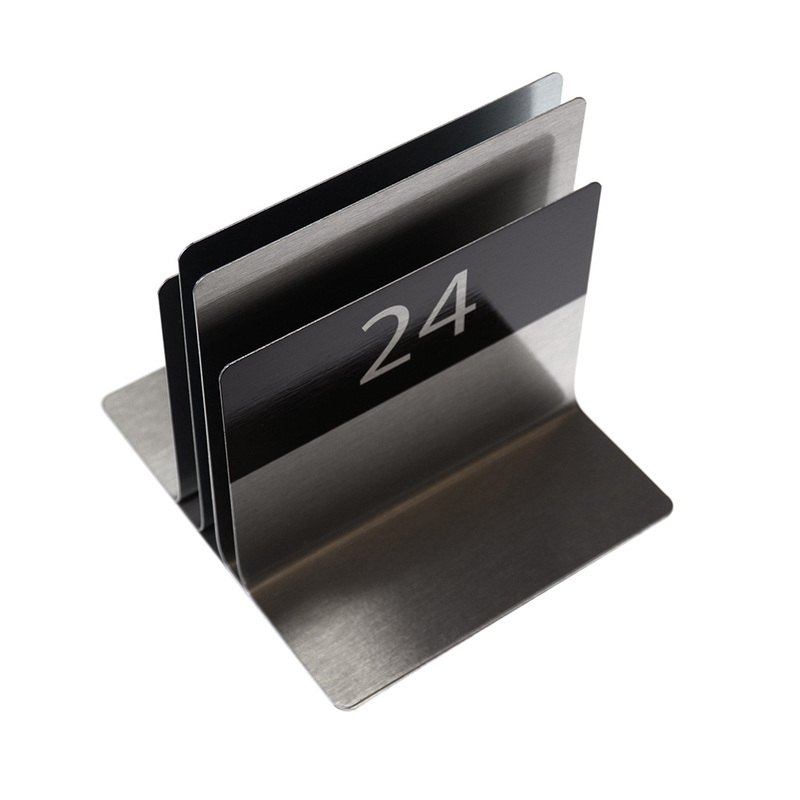 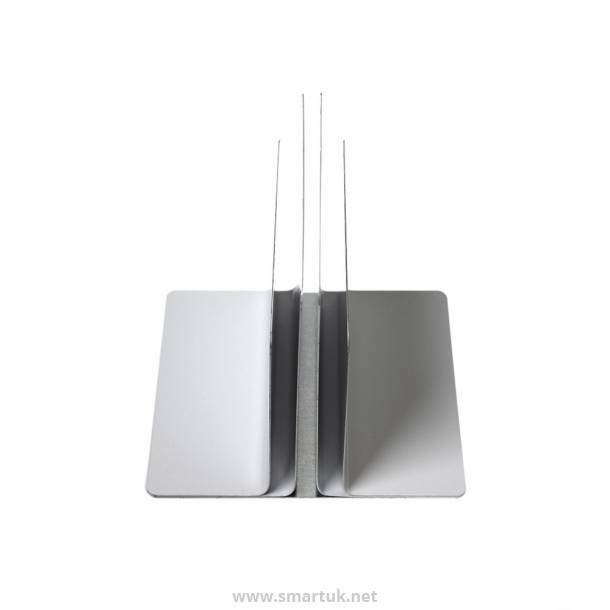 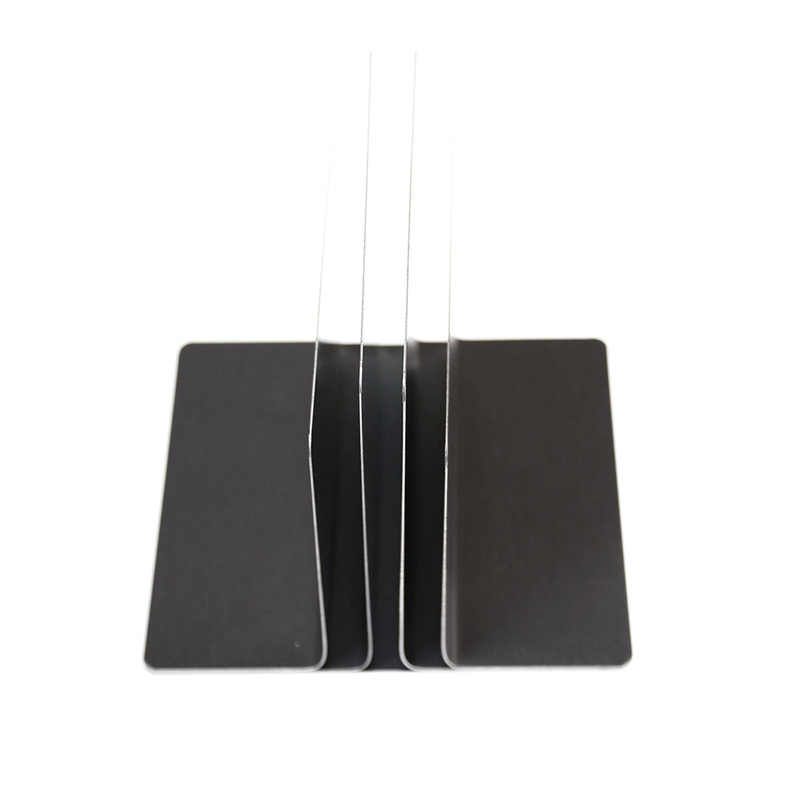 Metal Menu Holders have a sleek and modern finish making this product extremely popular. 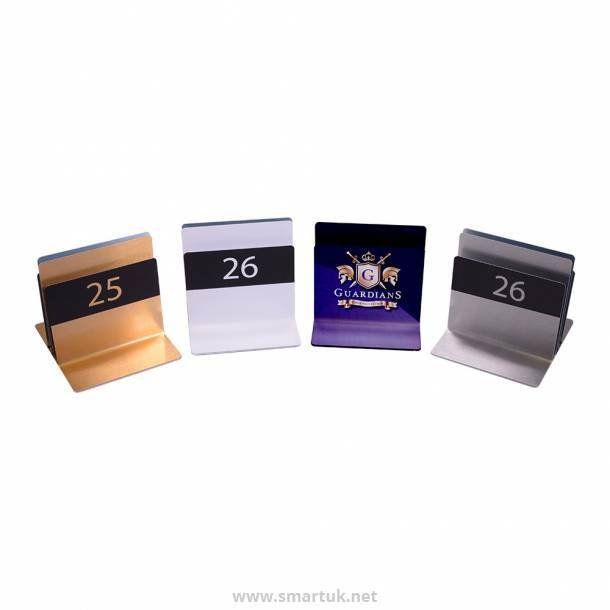 Table numbers are printed with clear numbering that is visible from distance, making table planning, seating and serving easy to manage. These Metal Menu Holders can be fully personalised with your very own artwork and design printed on to them, if required.